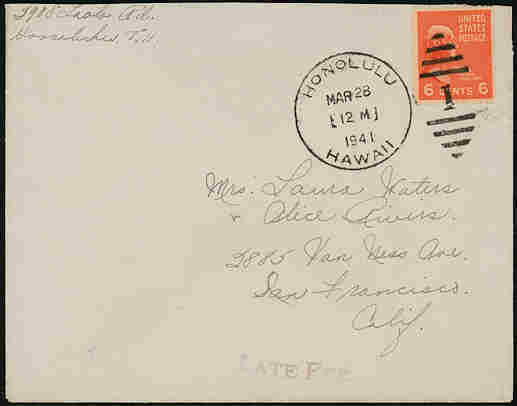 A late fee was charged on mail taken directly to a dispatching post office after the mails had been closed. In effect, it doubled the normal rate of postage on the item. 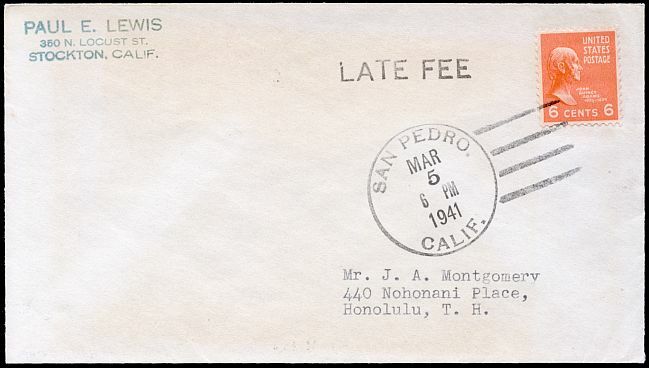 Late fee mail is known from San Pedro and San Francisco, as well as Honolulu. An example from Hawaii to the mainland.